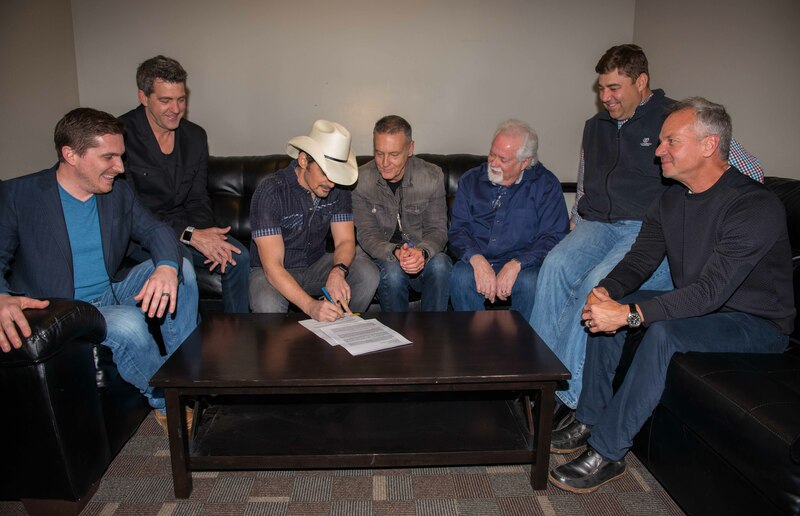 Brad Paisley has extended his long-term recording agreement with Sony Music Nashville, to continue recording for Arista Nashville, which has been Paisley’s imprint home for the past 20 years. 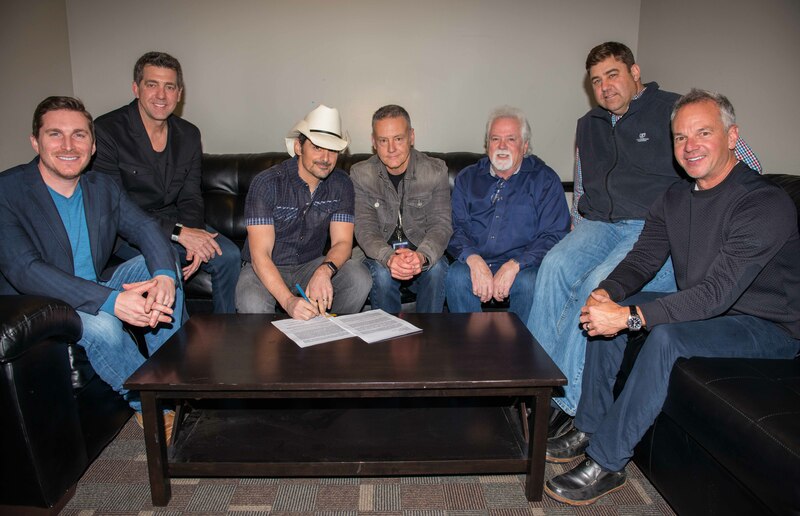 Backstage at his recent Weekend Warrior World Tour date at Bridgestone Arena in Nashville, Paisley inked the deal as label group executives and management gathered around. Paisley released his 11th studio album, Love And War, in April 2017. The album would become country music’s first visual album, via a limited-time exclusive with Apple Music. The project is now available on VEVO. Paisley’s Netflix comedy special, Brad Paisley’s Comedy Rodeo, debuted Aug. 15, 2017 and the entertainer recently partnered with Boot Barn to develop an exclusive line of jeans, hats, T-shirts, jewelry, belts and woven shirts called Moonshine Spirit by Brad Paisley.